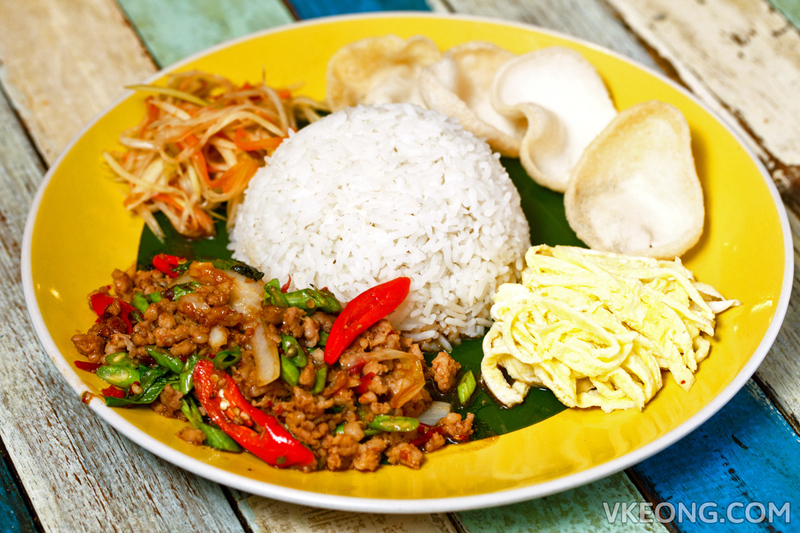 The Porki Society is a Thai restaurant in Sea Park just minutes’ drive away from SS2. 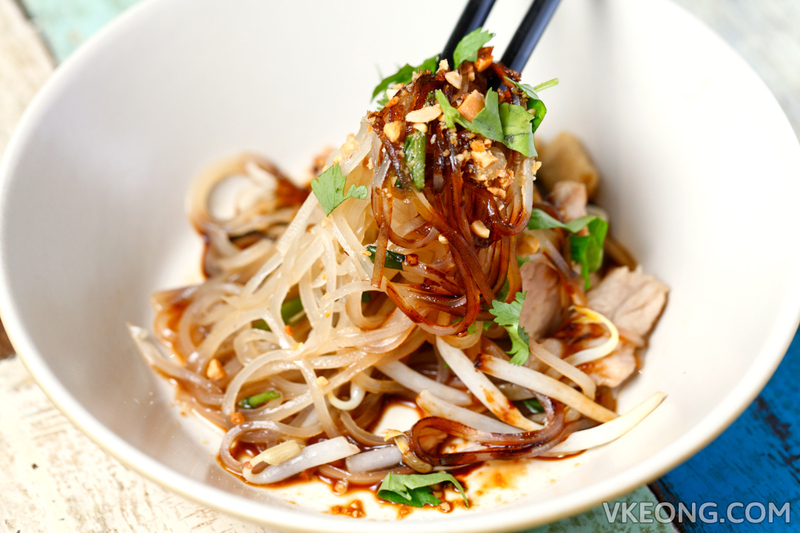 They made waves with their boat noodles a couple of years ago when those were still considered the must try food in Klang Valley. 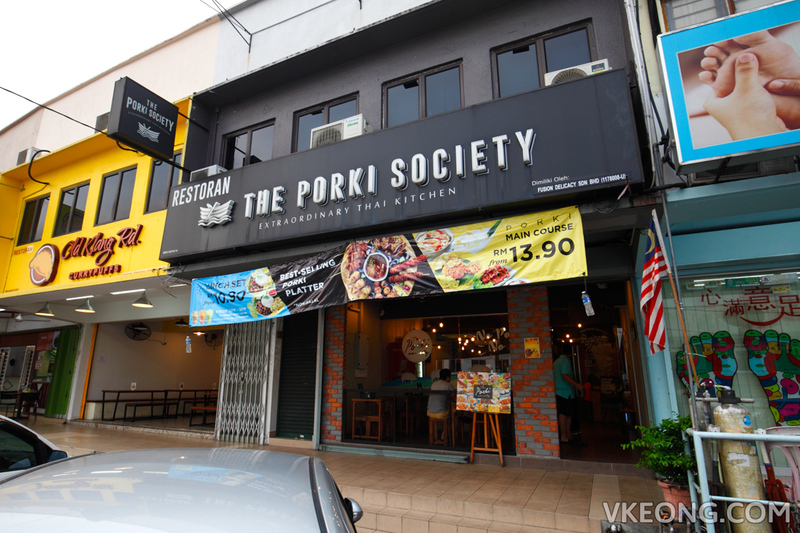 Now, The Porki Society is perhaps better well known for their affordable and well executed Thai pork dishes, which I have to say are deserving of their reputation. For sharing among 3-4 pax, the Porki Platter @ RM48.90 will be perfect. 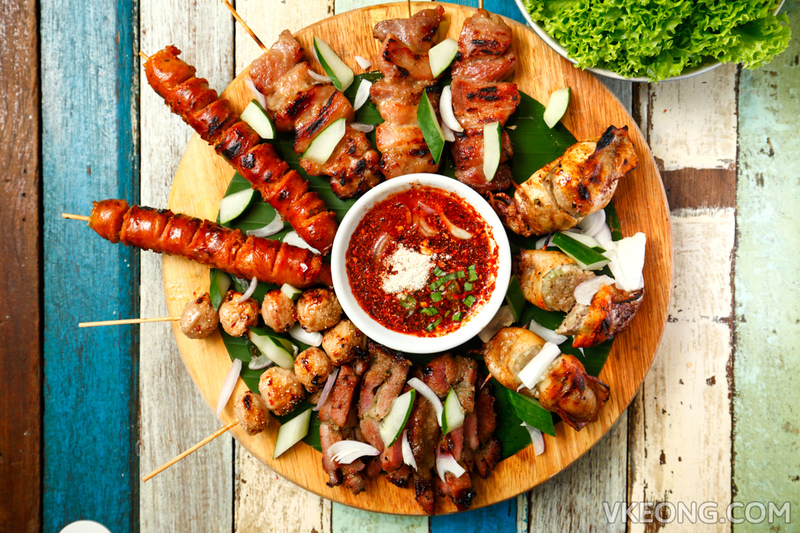 It basically combines some of their best kitchen specials into a platter including BBQ Squid Stuffed with Minced Pork, BBQ Porki Skewer, BBQ Porki, BBQ Thai Pork Ball and BBQ Thai Sausage. Among all, our favorites were the stuffed squid, pork ball and pork skewer (homemade, not imported premade from Thailand) while the rest were pretty standard. But what really impressed was their homemade dipping sauce pictured in the center of the platter. It was probably the best one we have come across so far in PJ. The Tomyum Seafood Soup @ RM14.90 was excellent and comes with a generous amount of fresh and high quality seafood. The spicy and sour flavors balanced really well, which is somewhat rare as most local Thai restaurants tend to prepare it overly spicy. 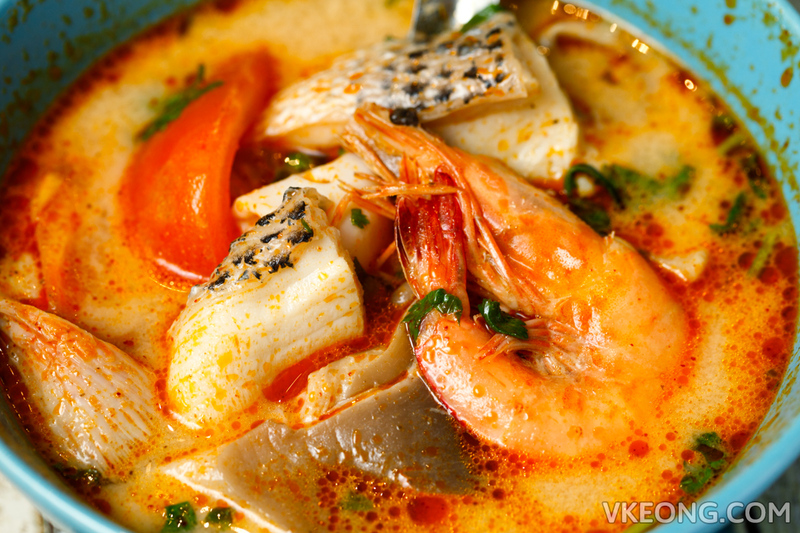 If you are a regular visitor to Thailand you would know that a proper tom yum, like all Thai food is about the balance of flavors. By the way, you can also request to add noodles (no charge) into the soup to make a tom yum seafood noodle. The Thai Chef Specials menu features a couple of dishes not found in the regular menu. We had the Thai Fried Chicken @ RM12.90 and it was everything you expected it to be. 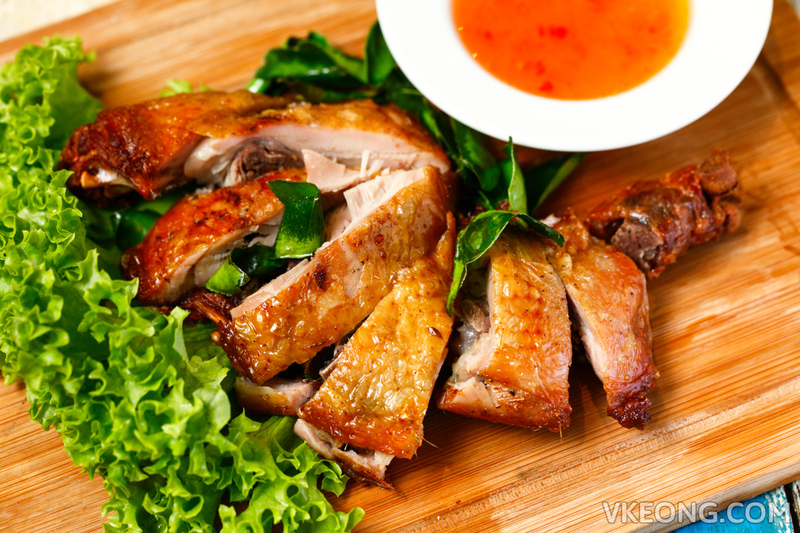 It was salty-sweet, tender with paper-thin crispy skin and had an inviting lemongrass aroma. 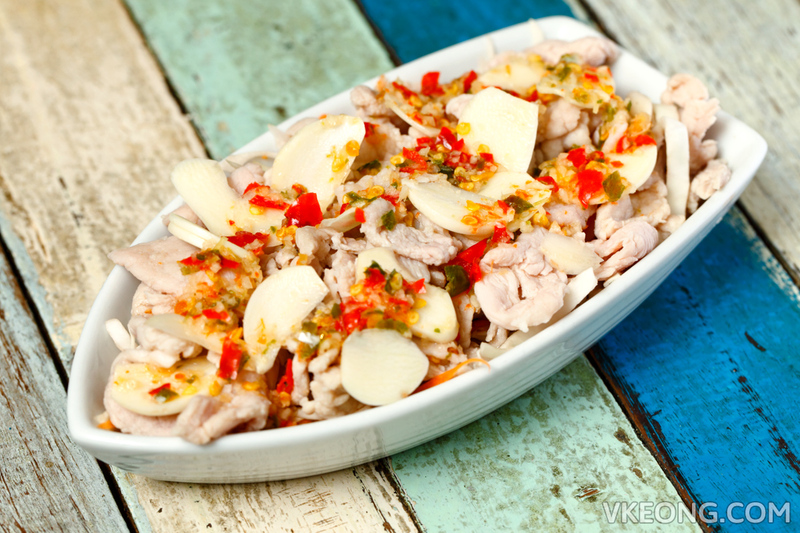 Another dish you should try is this unassuming Thai Style Pork Slice @ RM10.90. As simple and plain as it might appear, it was juicy and delectable. Kinda addictive stuff. As for the Boat Noodles (RM2 a bowl), the portions were slightly larger than what you get elsewhere and more importantly, delicious and sufficiently lardy. 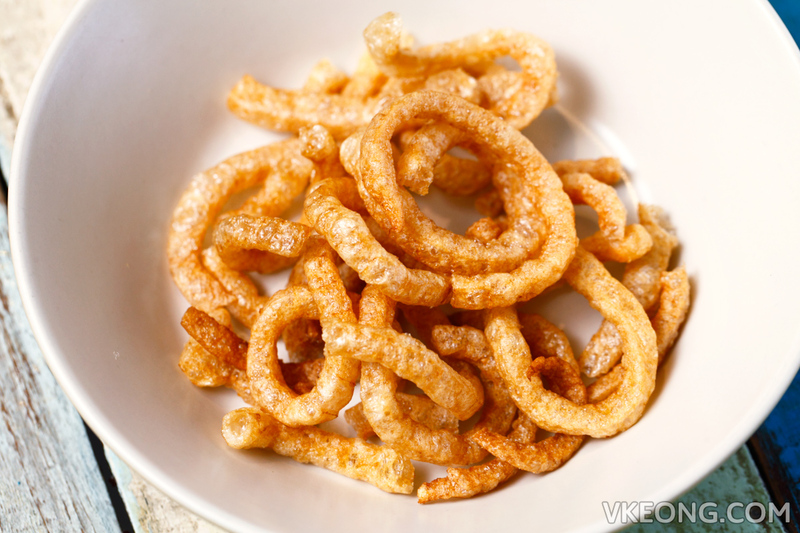 It is also recommended that you get the crunchy Pork Rinds to go with the noodles for extra texture. The Porki Society also serves a whole range of single portion rice dishes. 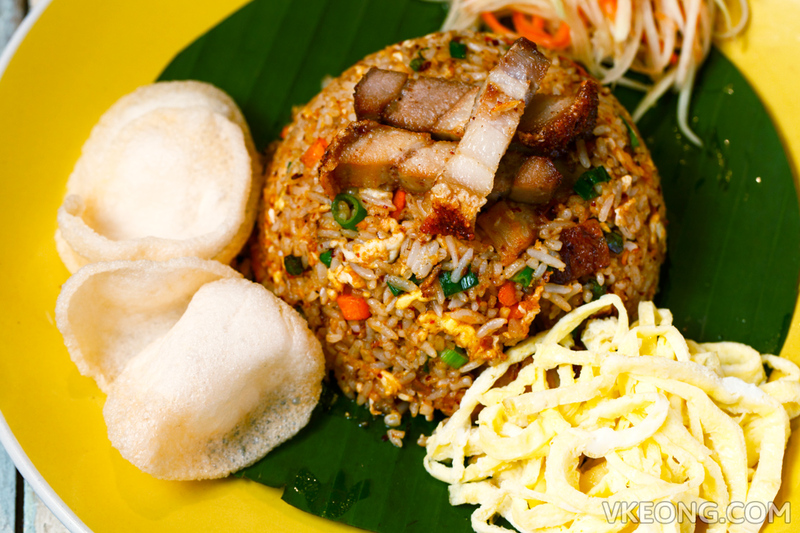 We had the Basil Leaf Eggplant with Minced Pork @ RM13.90 and Porki Crispy Pork Fried Rice @ RM14.90. I wouldn’t say they were fantastic, but good enough as a full meal that can be enjoyed frequently. Between them, my preference leans towards the one with crispy pork, well, for obvious reasons. The selection of desserts here is on par with most Thai restaurants, but they were unexpectedly brilliant, affordable and nicely presented. 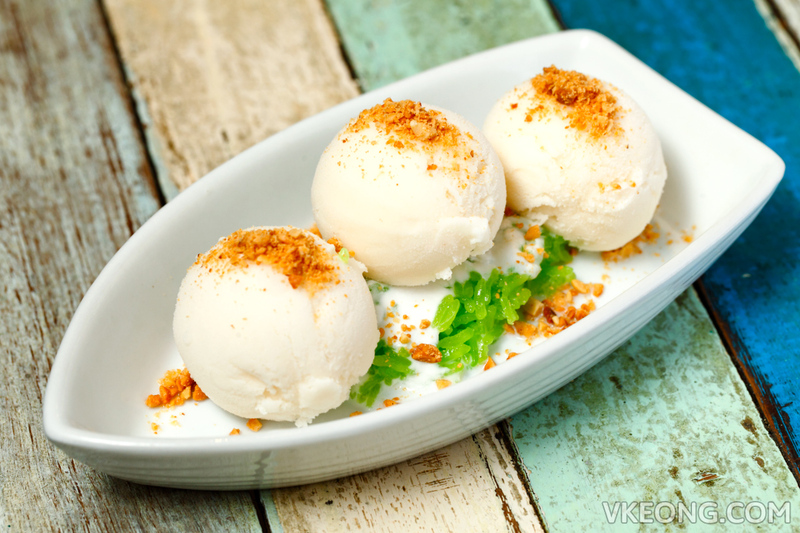 Safe to say you won’t go wrong with any dessert that has sticky rice in it and we loved their homemade coconut ice cream. 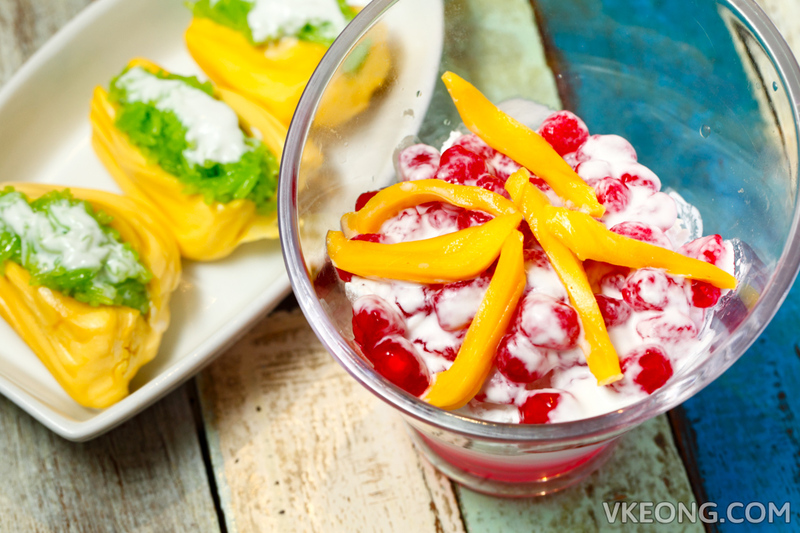 Shown above are their Jackfruit Sticky Rice @ RM6.90, Coconut Ice Cream with Sticky Rice @ RM6.90 and Red Ruby with Coconut Milk @ RM7.90. Drinks wise I see no reason not to order the Thai coffee and milk teas. 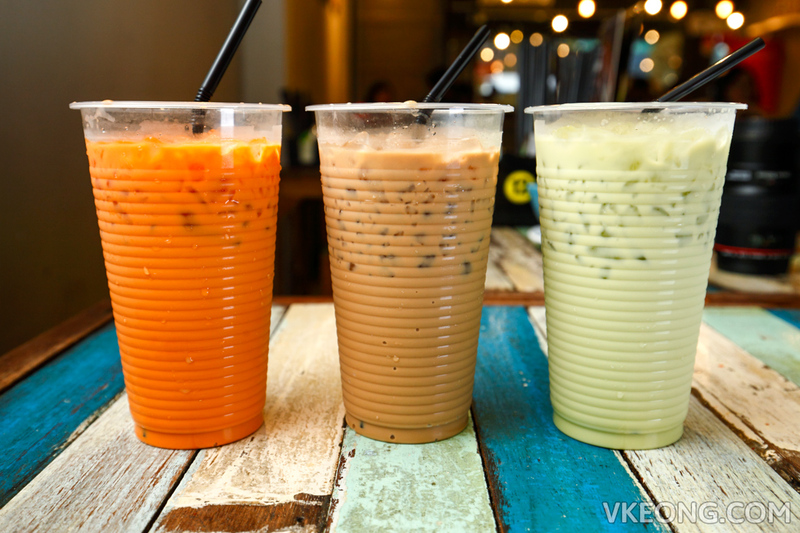 Although not as sweet as those served by the street vendors in Thailand (may or may not be a good thing), they sure packed a strong strength of coffee and tea. 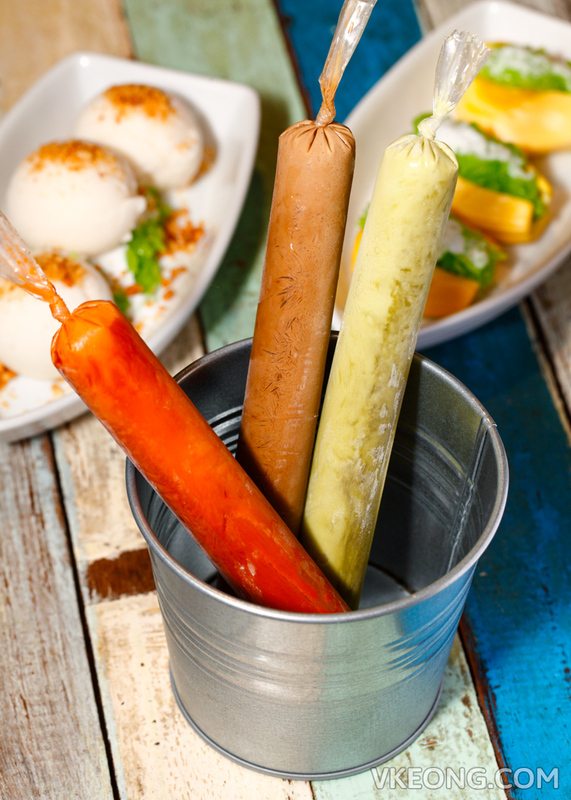 If you want to savor the full flavor of the drinks without dilution from the ice melting, get these popsicles. They are priced at RM1.90 each but if you do a social media check in at The Porki Society, you will receive them for free. Try them, I am sure you will find them as enjoyable as I did. The post The Porki Society @ Sea Park, PJ appeared first on Malaysia Food & Travel Blog.